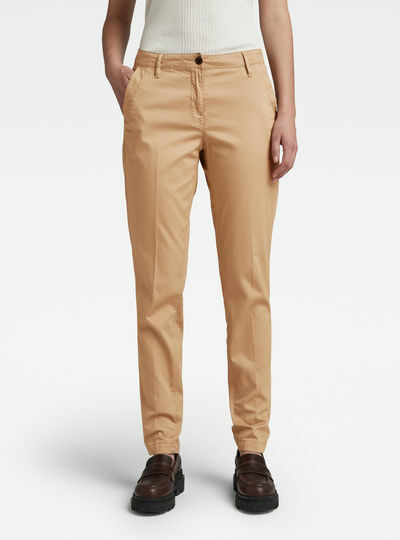 A pair of women’s pants can go a long way in every wardrobe. 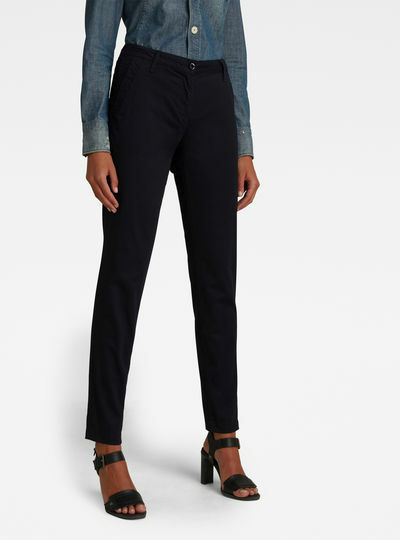 Vary the use of fabrics in your wardrobe and alternate our jeans with a pair of G-Star RAW pants for women. Available in a wide range of styles fits and colors. Try G-Star classics from our jeans collection in a surprising different finish or go for something completely different with a pair of cargo pants. 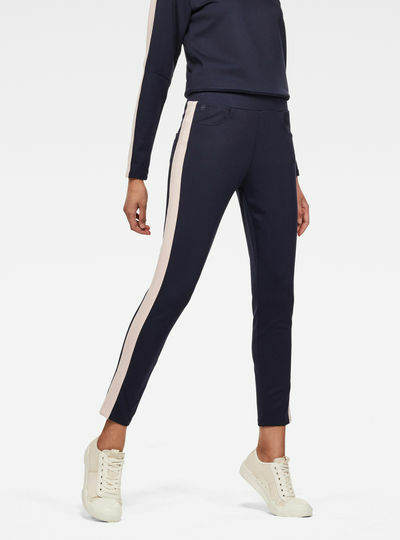 Make a statement with a cutting-edge jumpsuit or dress up casually with one of our pairs of sweatpants. And make sure to match your pants with a nice shirt or sweater. 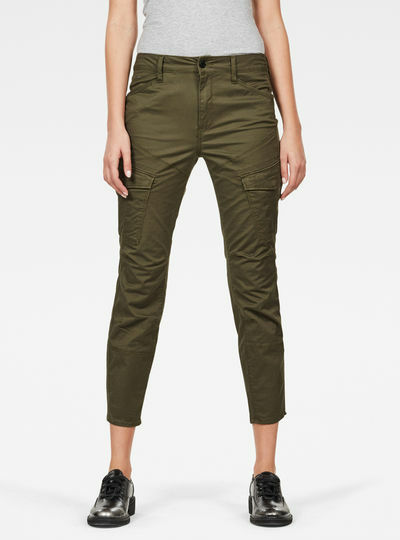 In the collection of women’s pants by G-Star you’ll find something for every occasion and every style. 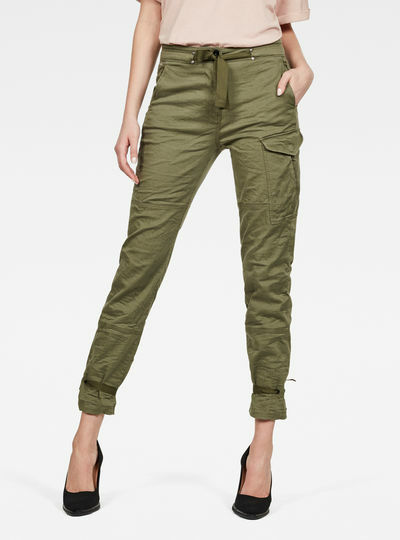 The G-Star RAW online store will make selecting the right pair of pants for women a lot easier. 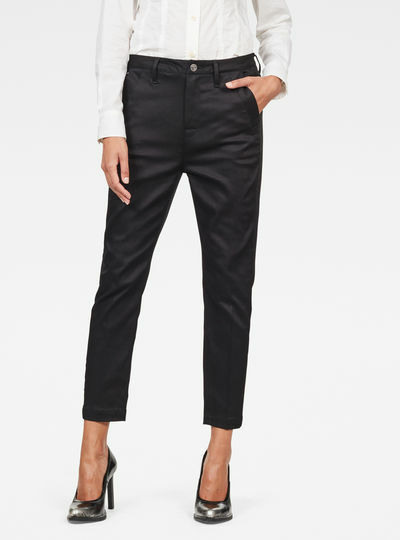 Find your new pair of trousers by tailoring our full selection of women’s pants to your own needs and wishes. Select by color by product type by size or by price and within minutes you will have found a pair of pants for women that matches your style and your personality. Ready to order your new pair of pants? Click through to your shopping cart – finalizing your order will only take you a few moments more. 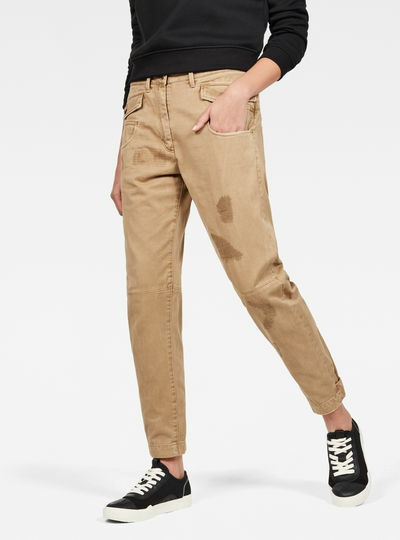 The main benefit of ordering in the G-Star RAW online store is that you never have to wait long to start wearing your own pair of G-Star RAW women’s pants. You can order within minutes and the delivery is always swift and low-cost. You’ll receive your women’s pants within days of placing your order so you can be wearing your new pants soon! Looking your best is easy with the G-Star RAW online store.